For the past year or so I’ve used Apple’s 27-inch Thunderbolt display at work. It’s beautiful, sports an array of convenient ports, and offers more than enough space for what I need to do on a daily basis. But I’ve slowly come to despise the display’s reflective glass, which is straining on the eyes after prolonged use. Looking for alternatives, I had the opportunity to try out Samsung’s 27-inch SD390, and I couldn’t be happier. 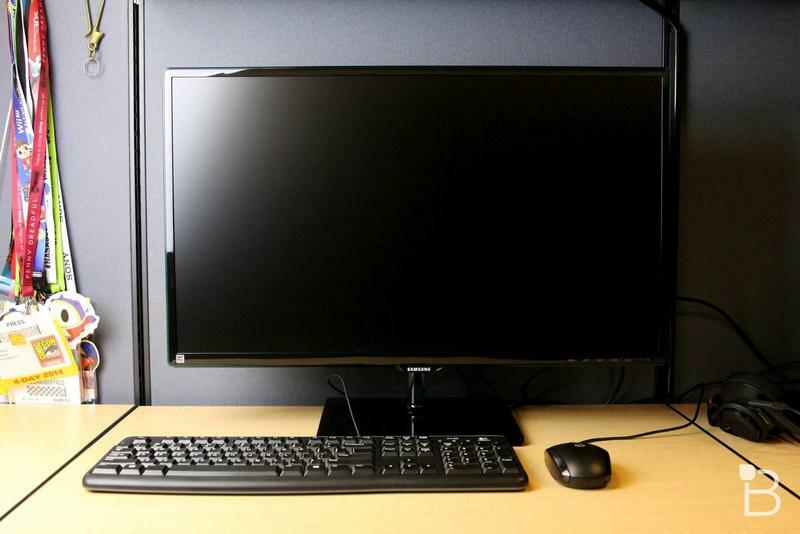 Choosing a proper monitor is never an easy task. You need to find the right balance of size, features and price, and even then there are dozens of options. 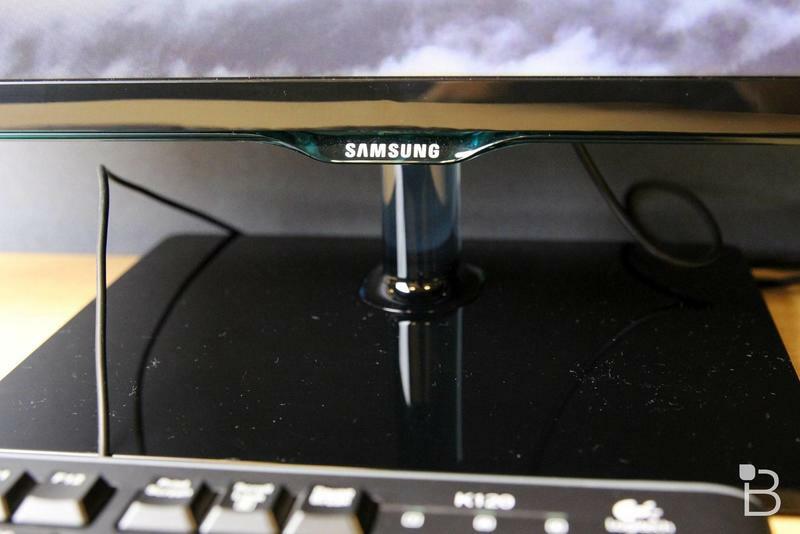 Samsung’s monitor offers a touch of elegance, while keeping up with the company’s lineage of excellent monitors and TVs. 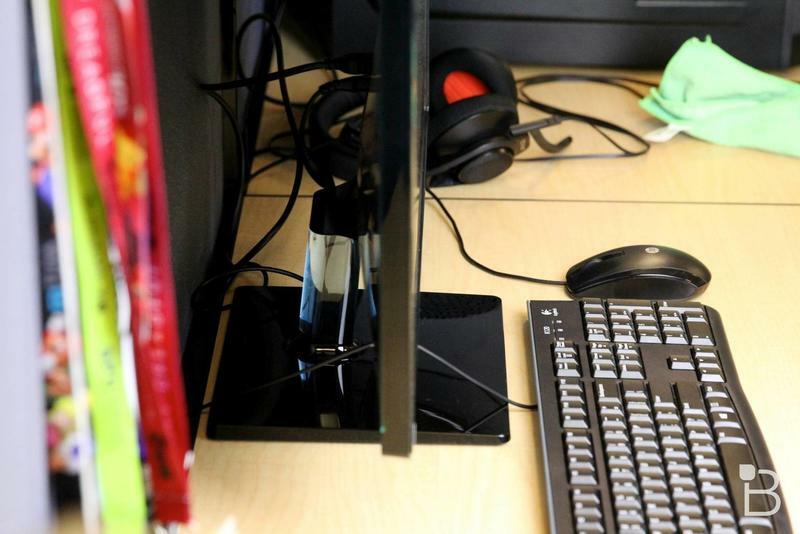 We’ve seen a lot of great monitors pass through our office, but I wouldn’t give this up for anything. We’ve already been through a lot—the World Cup, for example, along with some recent Twitch sessions. In terms of hardware, the monitor is beautiful, and features a very narrow bezel that’s surrounded by a very subtle hint of blue. This might seem like it makes the monitor unnecessarily flashy, but it actually achieves a slick jeweled look, handsomely glowing like a freshly cut diamond. Samsung calls the approach Touch of Color, which the company says is meant to catch the light of its surroundings. It’s not overly showy, but rather adds a nice touch of class. The monitor’s neck is a transparent crystal, and perfectly juxtaposes the black base. My desk is pretty bland, and the SD390 gives it a great touch of class. 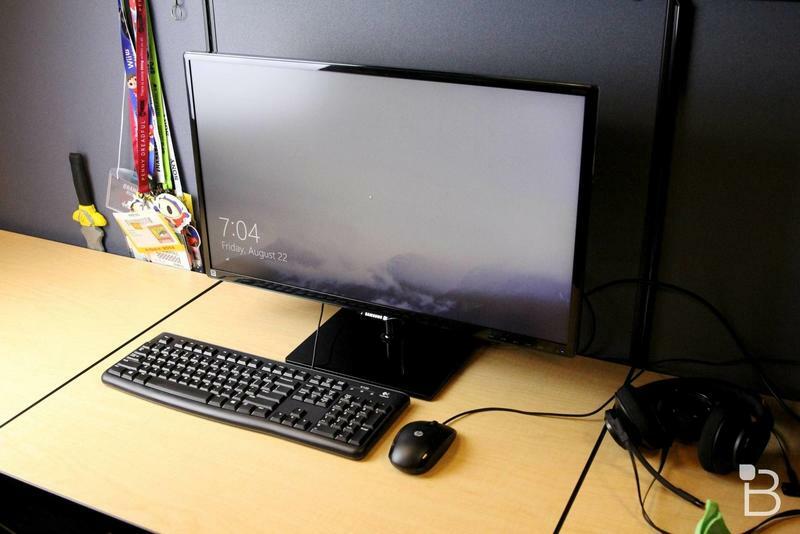 Overall it all comes together to create a really gorgeous package, rivaling the design of Apple’s Thunderbolt display. And because the screen isn’t reflective, I don’t have to squint when trying to find my cursor. Here’s where I throw some tech specs at you: the display is 27 inches, and sports a PLS panel that’s 1920×1080 resolution; the response time is 5ms (GTG), while the contrast ratio is 1,000:1 (Typ). On the back it features 1 HDMI port, Headphone jack, and a D-sub. When on, the LED panel looks terrific, whether you’re playing movies, looking at pictures, or simply browsing the Web. There’s also a pretty cool Gaming Mode, which instantly adjusts your settings to give you the best possible experience. I consistently use it with my PC when playing titles like DayZ and Left4Dead 2, and Game Mode always returns great results. Game Mode dynamically makes dark spots darker and light spots lighter so you can see the action at all times, and with that 5ms response time mentioned above, there’s no lag, which is super helpful when playing fast-twitch titles like Counter-Strike: GO. Digging deeper, the SD390 features an 178-degree viewing angle vertically and horizontally. I typically just view my monitor from straight on, but I remember when I had games on during the World Cup I was able to catch the action even from a harsh angle. Whether you’re below the monitor on a couch or have multiple people in your office crowding around, the extra-wide viewing angle will ensure that everyone sees the action. Again, I’m typically sitting directly in front of it, but on the occasion when I had to monitor a Twitch stream or catch a football match, I was able to see everything perfectly at an extreme angle. Samsung has also included this cool feature called Magic Upscale, which the company says will scale images from a smaller screen to the SD390 without any degradation. It works exactly as Samsung says, meaning you can hookup your Windows or Mac laptop to it without any issues. I have it hooked up to my rig at the moment, but it looked beautiful when hooked up to my MacBook Air. In the month or so this has been on my desk, at no point did I feel let down by the monitor’s performance. It looks awesome, has razor-thin bezels, and is suited perfectly for gamers. It sure beats the 20-inch HP monitor I had a few years back, and it has a leg up on the Thunderbolt display in my book because the screen isn’t reflective. At $309 (through NewEgg), the SD390 is pretty fairly priced for what you get. The colors are deep and vibrant, and the Gaming Mode is a great touch; it makes, much to my chagrin, games like Outlast look incredible. I use my rig mostly to game, so the size is perfect, and the fact that it looks absolutely beautiful is a definite plus. The neck is a bit shaky, so any little bump will give it the shakes. But so long as you’re careful, that won’t really be an issue.